A newly sanctioned African Union (AU) force for quick deployment in conflicts such as in Mali is being promoted as a stop-gap measure ahead of the planned formation of the “rapid deployment capability” (RDC) African Standby Force (ASF). 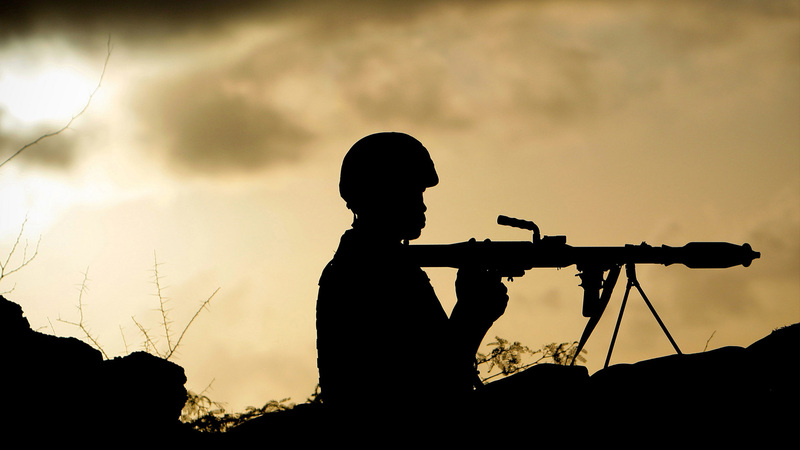 AMISOM provides “pride” for the AU, according to analysts, as African forces at the cost of significant lives (some estimates say thousands), were able to achieve what a far better equipped US force failed to do in Somalia - bring about an opportunity for peace. "[The French intervention in Mali] left a bad taste in the mouths of many people here and led to discussions at the highest level of the AU"
Lamamra Ramtane, AU commissioner for peace and security, said in a statement that troop contributions to the AICRC would be on a voluntary basis by member states and those countries participating would finance the AICRC so it could “act independently”. Outside of AU and UN missions, African military operations have favoured ad hoc forces, such as the four-country force ranged against Joseph Kony’s Lord Resistance Army (LRA). "Once it [the AICRC] gets a life it may take a different course altogether, depending on its success"
If and when the ASF eventually materializes, troop contributions to the five stand-by brigades will be based on Africa’s five regional economic blocs with each supplying about 5,000 troops, 720 police officers and 60 civilian members (e.g. human rights advisers, political affairs and public information officers) - and each regional bloc’s brigade will be placed on a six month rotational standby every two years to be available for rapid deployments. The imminent deployment of a 3,000-strong “robust, highly mobile” intervention force - comprising troops from Malawi, South Africa and Tanzania - under the masthead of SADCBrig (Southern African Development Community Brigade) to “neutralize” armed groups in the eastern DRC under UN Resolution 2098 has a stronger resemblance to the AICRC’s mandate rather than to the ASF’s, as it will comprise a combat force without any civilian or policing appendages. "How do you deploy quickly if you don’t have heavy airlift?"